If Southern California does one thing right, it would be its adoption of the beach lifestyle. We have Venice, Huntington, Newport and San Diego, all of them with their own unique style that makes them perfect places to experience the culture and lifestyle that defines California. 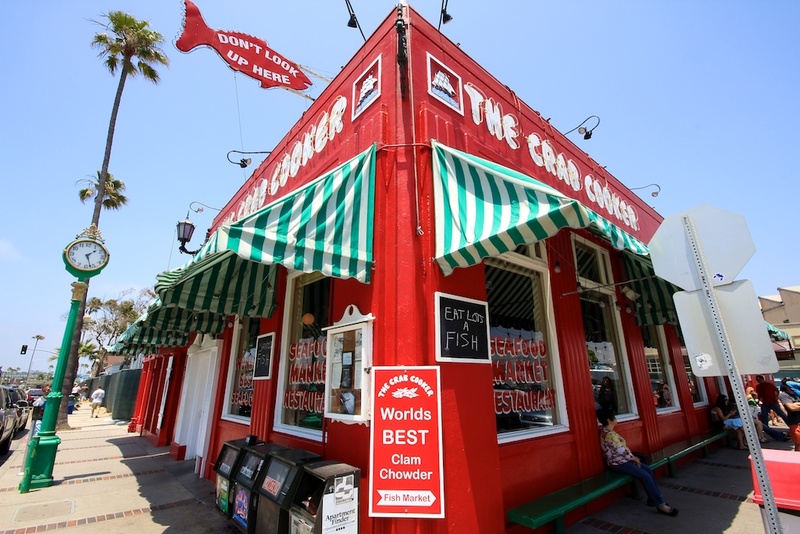 One of my favorite things about beaches like Venice and Newport is the history that comes with them, such as one of the staples of Newport, the great seafood restaurant known as The Crab Cooker. I think this little quote, taken from their site, by Bob (the owner) about how they got the name and how much he loves the restaurant sums it up perfectly. The place has a lot of fun quirks that show how much the owner loves it, such as this entry sign. 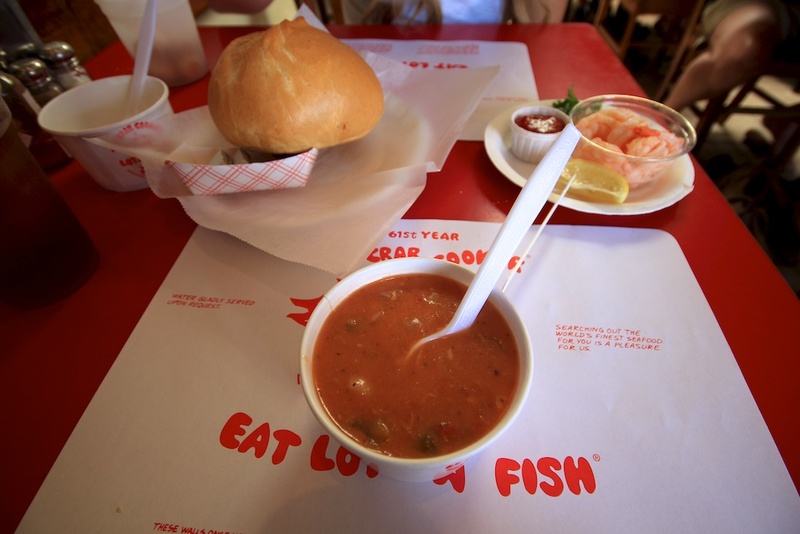 The Crab Cooker has been around for a while, and you can tell by its design, art, and atmosphere, but this is one of my favorite things about this place is that it feels like a hometown joint where everyone knows your name. 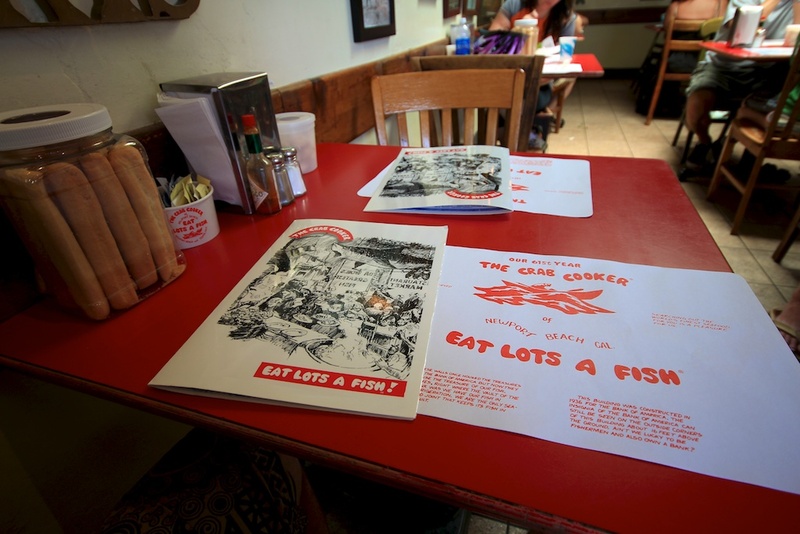 In addition to the restaurant, they even have salt water taffy that you can take when you leave, a full fish market with everything from lobster to albacore and a postcard area where you can mail anyone in the USA a postcard for free. 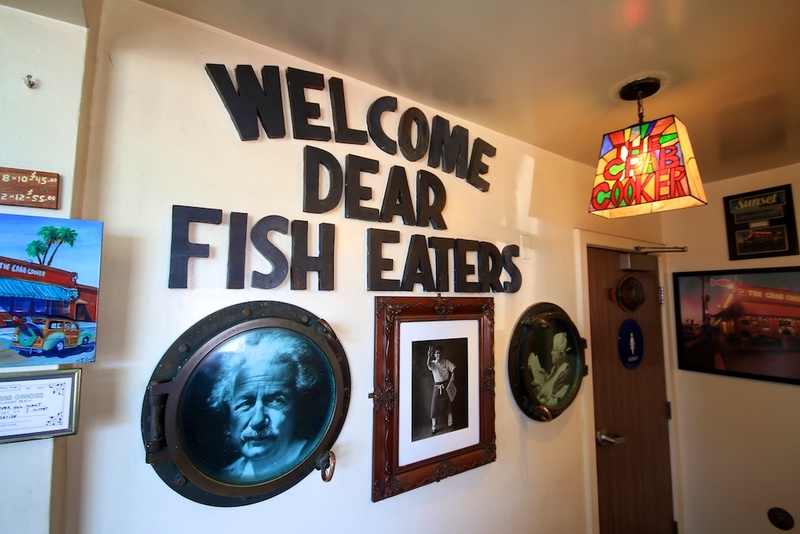 The Crab Cooker also has a lot of cool, eclectic art on the wall and they embrace the fish-eating culture that they try to create there. They even have a 25-foot bench seat that goes around the front of the restaurant for you to wait on while they prepare your table. 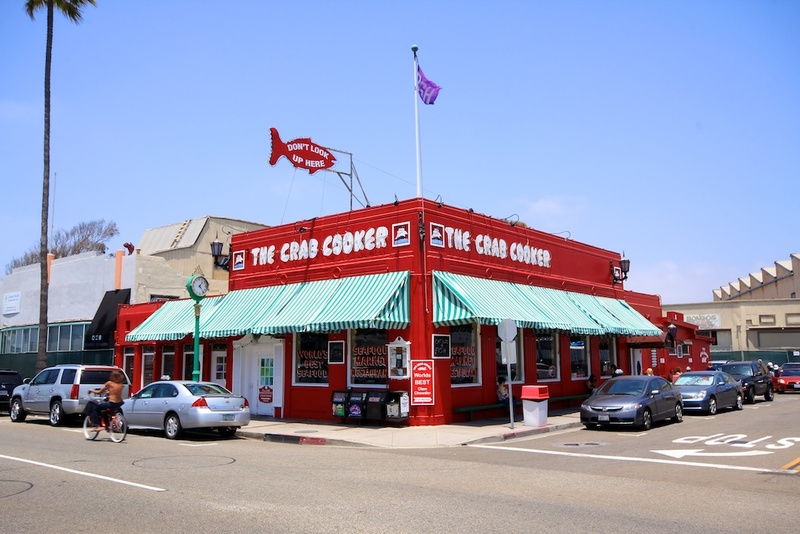 The Crab Cooker is a seafood restaurant, and as any other good seafood restaurant should be, they sell nothing that isn’t seafood. 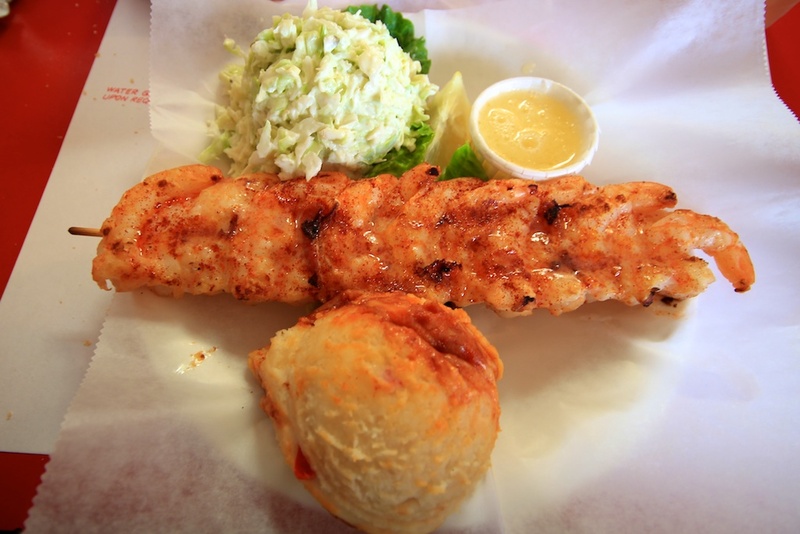 No chicken, or anything like that, just straight seafood and delicious seafood at that. The standouts for me are the appetizer clam chowder and shrimp cocktail. Both are completely amazing. You can also buy a hard roll for $1.50 that adds to both of these and is a great dipping item for the soup. For entrees, I love the shrimp skewers. The shrimps are succulent and flavorful and the accompanying potatoes and cole slaw, the latter of which I usually hate, both add a lot to the meal. 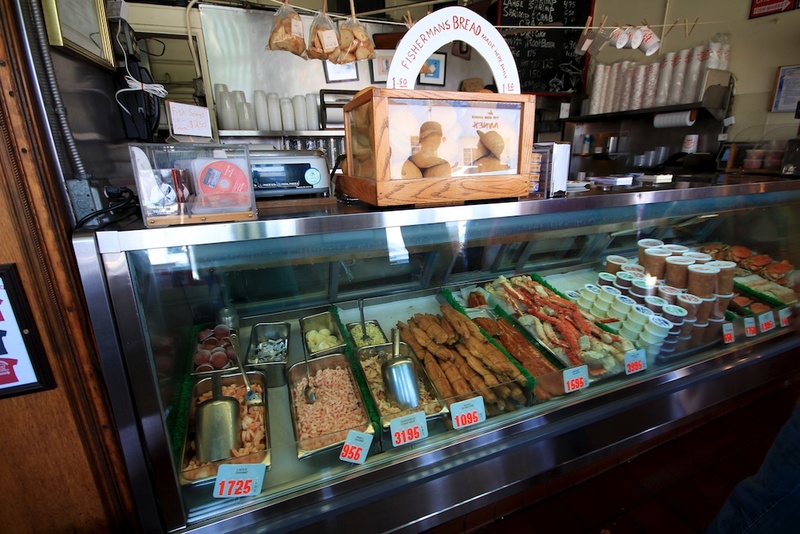 But really you can’t go wrong with most of the seafood here. This place is on the expensive side, but seafood often is. I usually go for lunch when the food is cheaper, but if you are getting a dinner entree, you can plan on spending 15-20 dollars per entree. Lunch is around 10-15 unless you are getting lobster, then it is market price. This place is great though, the vibe, the food and everything about it brings you into the culture that has made Newport Beach famous. It is a must try once, but if your anything like me, you will probably make it into a regular visit.